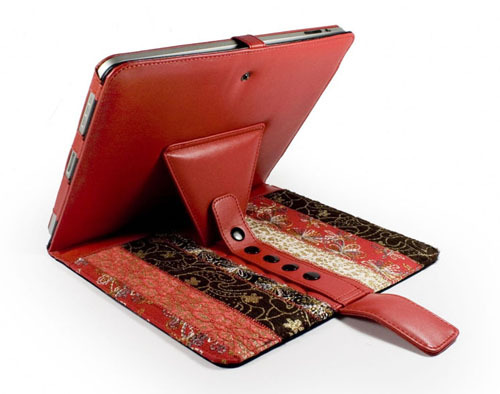 Multi-View iPad 2 Case By Tuff-Luv is compatible with the new iPad 2. 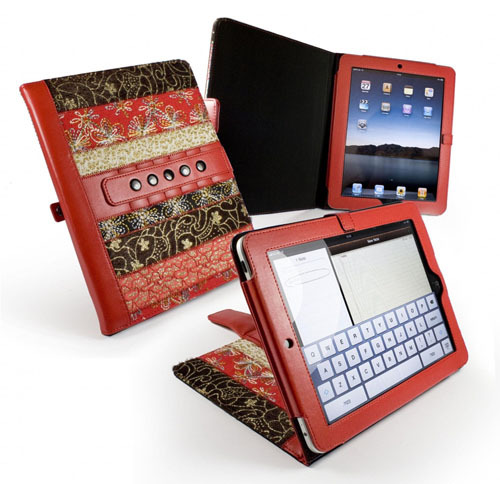 Flip the cover around and it turns into an iPad stand. 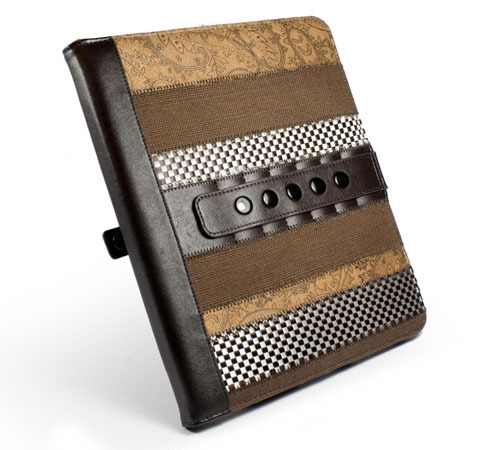 This iPad 2 case includes Tuff-Luv’s latest “Stasis” feature to automatically put your iPad 2 to sleep when shut. 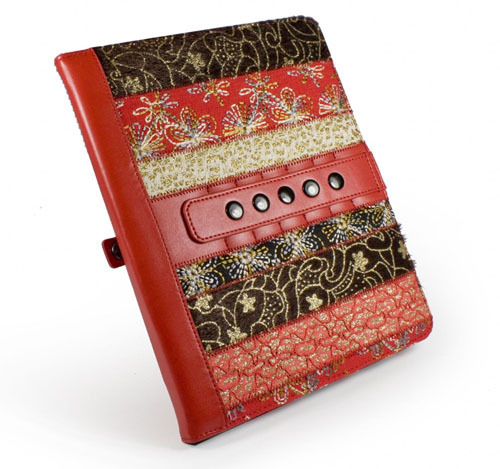 The handcrafted exotic Marrakesh motifs in high grade textile and artificial leather design comes in Red and Brown.